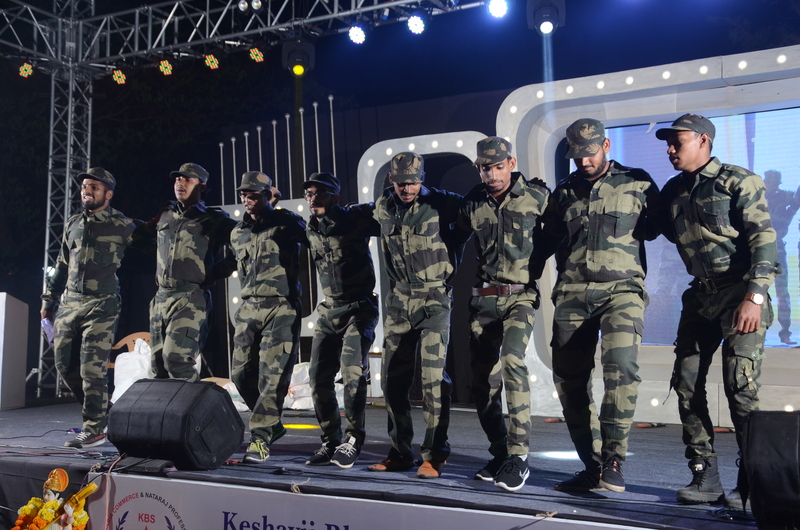 The College organizes mono acting, drama, skits competitions on various themes and scripts in which they provide dramatic and theatrical exposure to students. These kinds of natya dhara activities are very interesting for students as it enriches students in their voice modulation, statures and overall personality and surprisingly it provides them opportunities in films or any screenplays. Interclass solo light vocal and group songs competitions organize to flourish the talents in music among students. Even classical vocal and instrumental events are held to encourage Indian classical music moreover patriotic songs and bhajan competitions helpful to nurture patriotism and spirituality among students. These kinds of activities in music may provide them the stage confidence and exposure for further career in music. The college participate every year in Youth festival in solo song, group song competitions. Under this head The college organizes various competitions like elocution, debate, quiz, book review and extempore and Essay writing for students to develop their competence and overall personality. These kinds of activities and competitions help students cramming opportunities and clearing entrance and competitive examinations. The college organizes several competitions like drawing, poster making, Rangoli, Mehndi and Artithali decoration for students to develop their fine arts insight and knowledge about our culture. The college organizes various events like Poetry completion, poetry recitation, Add-Mad show and power point presentation should be conducted to develop the creativity among students. Dance is special form of art therefore solo and group dance competitions organized to nurture the interest and skill in dance form among students. Every year the college takes part in Garba, folk dance, classical dance and indo western dance competitions in youth festival and at other Inter college events..
Inter college Event - "RIVERA"